Naz Pen Church functions because of the dedicated teams of volunteers that we have who serve Jesus and people through using their time, energy, and talents to invest in others. It is our hope that everyone who calls our church home would serve in at least one area of ministry. Serving is a way to connect with other people in our community and to grow in a relationship with Jesus. See the descriptions below for the various areas that you can serve in and let us know where and when you would like to get involved. Whatever your interests and talents are, we will do our best to connect you with a meaningful opportunity to serve within our church community or in the community around us.  Naz Pen Youth ministry is for youth grades 7 to 12 and is a place where youth can explore their faith and have fun with their peers and with caring adults. These interactions are all about youth being transformed through relationship with Jesus. If you love spending time with teens and seeing their faith come alive, then you will love serving in this ministry. Currently our youth are meeting on Sundays nights every week.  Naz Pen Kids Ministry is an essential aspect of what we do as a community. We have a huge heart for young families and their children. If you have a passion for children, a gift for leading and teaching them about Jesus, then our nursery to pre-teen classes can use your help! Even if you do not consider yourself a "kid-person", there are other opportunities to serve in Naz Pen Kids Ministry, such as helping families check-in, providing snacks, and decorating for our special "Kids Party" Sundays. Our welcome team are the first friendly faces that you see and their role is to help make visitors and regulars feel welcome every service. They work to show people around and help them get where they need to go. Ushers help to make sure that everything runs smoothly, everyone gets convenient place to sit, and help to receive the offering, and serve communion. Our sound and media volunteers work behind the scenes to make sure that all service related sound and media are run in such a way to help others to worship. If you are a tech-savvy type of person who is interested in mixing audio and/or comfortable with a computer then this is the ministry to join. Also, if you are passionate about graphic design, then there are opportunities for you to use your gifts. No extensive experience necessary, just willing hearts needed. Community Group leaders and hosts are people who want to facilitate conversations, build relationships, and tell people about Jesus. They’re passionate about encouraging, equipping, and empowering others to be on mission and are all about opening their home to others and facilitating discussions about Jesus. Community groups are the context in which we become are known and know others. Community groups are the church to each other. They pray for each other, grow together, challenge each other, care for one another through the ups and downs of life, and share their lives together. If you're a person who loves others and are willing to lead or host a Jesus centred group of people doing life together, you'll love serving in this capacity.